Tin Sign Peters-True Blue Lab. Measures approximately 16 x 12 1/2". Reproduced from authentic, vintage advertising. Rich vibrant colors and heavy embossing make these wonderful for decorating." 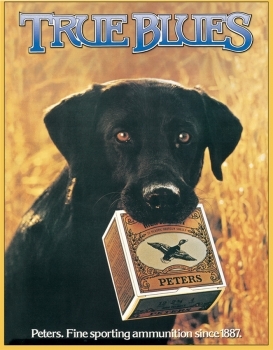 Do you own Tin Signs Peters-true Blue Lab TSN0928? Tell us about it! Have a question? Ask!